ROSARIO, Argentina — An invasion of poisonous snakes washed downriver in recent floods forced authorities to close beaches to summer holidaymakers in northern Argentina, officials said Monday. Floodwaters in the Río Plata and Río Paraná carried a species of water lily and with it countless crawling, slithering creatures, south to beaches at the mouths of those rivers near Buenos Aires. “We are raising awareness of the risk and danger present today. There are otters and species of snakes that are poisonous,” said Matías Leyes, an official in the coastal town of Quilmes, south of the capital. Inland river beaches were also closed over the weekend in the northern city of Rosario. Locals there spotted displaced animals such as otters, a wild boar and a fox cub as well as snakes, scorpions and stinging insects. Water covered the beaches and even the terraces of seaside bars in Rosario, as summer temperatures reached 40 degrees Celsius. “It is dangerous because when there is not much beach there is more risk of coming into direct contact with rodents or snakes, whose dens are all flooded,” said Gonzalo Ratner, a top civil defense official in Rosario. 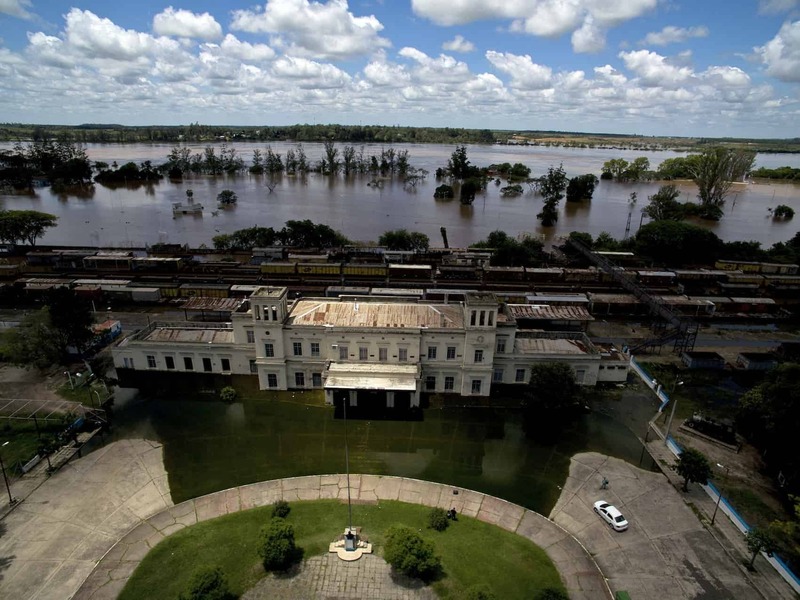 Experts have blamed severe flooding in recent weeks in Argentina, Paraguay and Uruguay on the El Niño extreme weather phenomenon.